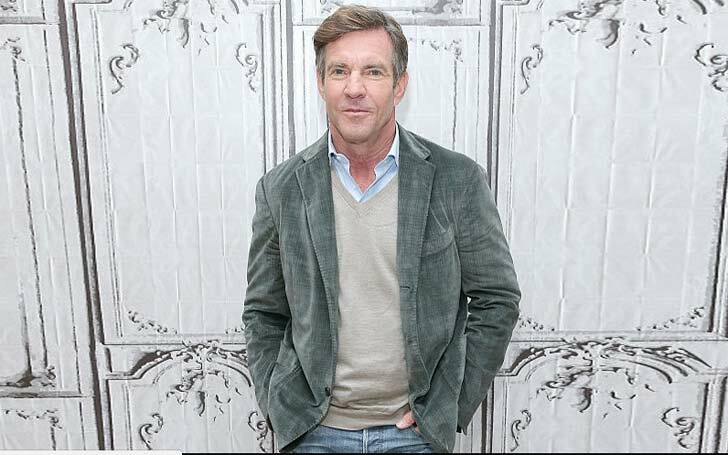 Texas-born actor Dennis Quaid, who is best known for a wide variety of comic and dramatic role, got the viewers attention after his appearance in the 1979 comedy-drama film Breaking Away. Recently, Quaid appeared with J. Michael Finley and Madeline Carrol in the 2018 biographical drama film I Can Only Imagine. Moving on to the 63 years old actor's personal life, he has been married three times. His first marriage was with his co-star from the film Breaking Away, P.J. Soles. They tied the knot in 1978 and were together for around 5 years. Well, if you are wondering what is Quaid current relationship status and what he is up to now, then stay with us as from this point we will be unfolding some details on Quaid's affairs and his marriage history. Quaid is currently in a relationship with his long-term girlfriend Santa Auzina. He started dating her after his split with his third wife, Kimberly Buffington, in 2016. Quaid's girlfriend Auzina is a Canadian and is 32 years younger than him. They have been dating since August 2016. The couple recently was spotted at Makaha Beach in Oahu and were seen having a romantic moment while they were heading for some water sports activities. The lovebirds also shared a kiss and held hands before heading to the water. Dennis got involved with the blonde model just after three months from the announcement of divorce with his ex-wife, Kimberly. Dennis. His new girlfriend first appeared as a couple at the MIPCOM opening party in Cannes 2 months after they started dating. Well, the father of three and the Canadian beauty are having a real cheerful entanglement and are enjoying their love life to their fullest. As we mentioned earlier, Quaid was in a marital relationship with three women including his third ex-wife Kimberly Buffington with whom he tied a knot in 2004. The couple first filed for a divorce in 2012, which they drew back and got together. Then in June 2016, Quaid and his ex, Kimberly, called off their marriage announcing their decision to divorce. Quaid and his ex-wife had twin-child, a son, and a daughter, through a surrogacy.